ALBUQUERQUE, NEW MEXICO—I first heard about the composition Unetaneh Tokef from the composer himself . In one of our get-togethers a couple years back John Michael Luther informed me that he just completed a work based upon an ancient Jewish prayer recited during Yom Kippur and Rosh Hashanah. Unetaneh Tokef is translated as “Let us speak of the awesomeness of this day.” It is a prayer that commemorates atonement and thanksgiving. The words are attributed to Rabbi Ephraim of Bonn, a compiler Jewish prayers during the Middle Ages. 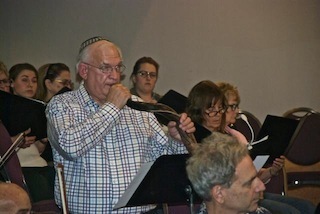 After the encouragement from a Jewish friend—Steven Ovitsky—who plays the shofar (an ancient Jewish horn), Luther embarked upon the composition with gusto. The seed was planted. What did you do next? You really felt God was part of the process, correct? “Yes. First, I could never have finished the work if I had not been aware that God was in this journey. It is a difficult text to set to music and I am a person bent on perfection. I felt that as though I was standing in prayer at the Wailing Wall, praying for direction in my writing. 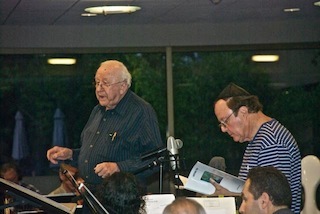 What struck you about the prayer as you were composing the music? 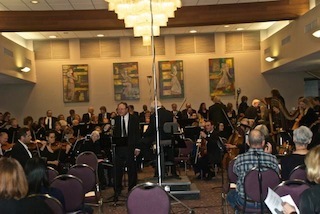 Tell us about the world premiere, which took place in San Diego, California, conducted by Dr. David Amos. I understand that you were feeling a tad under the weather during its performance. Did the performance end well? How did the audience react, I ask? To your knowledge, is there anything like this in the classical repertoire? What would you hope would be accomplished with Unetaneh Tokef? We proclaim the great sanctity of this day, a day filled with awe and trembling. On this day, O Lord, we sense Your dominion, as we envision You on the throne of judgment, judging us in truth, but with compassion. You, indeed, judge and admonish, discerning our motives, and witnessing our actions. You record and seal, count and measure; You remember even what we have forgotten. 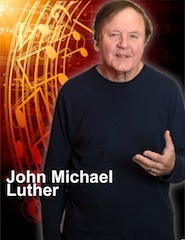 “He has conducted and recorded over 150 compositions on more than thirty-two compact discs. Only five of these works are from the familiar standard repertory. 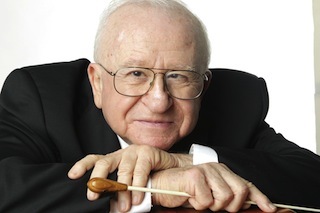 In these recordings, he conducted orchestras such as the London Symphony Orchestra, the Israel Philharmonic, The Royal Philharmonic, the Polish National Radio Orchestra, the Slovak Radio Symphony, the Slovak State Philharmonic, The New Russia Orchestra, The Philharmonia, and the Jerusalem Symphony” . Micro and Macro Truth: Is There Such as Thing as Truth?